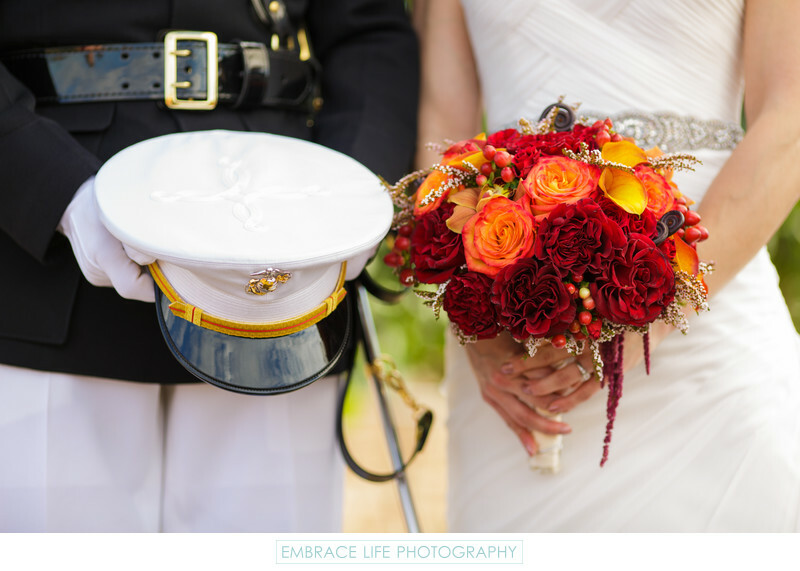 This marine wedding was photographed in Temecula, California at Wiens Family Cellars. In this photograph, the groom holds his white cover next to the bride's red and orange floral bouquet, perfect for their autumn wedding. The wineries in Temecula are very popular wedding locations, and Wiens is a beautiful option.